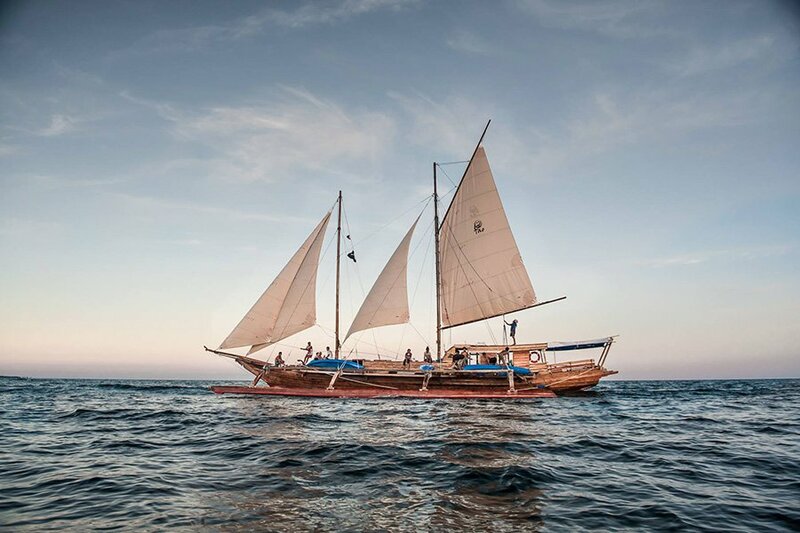 A 74-foot traditional Filipino boat. Photo courtesy of Tao Philippines. Seems like everyone's talking about Palawan, a small island in the Philippines, possibly one of the most beautiful places in the world. Isadora Alvarez, the designer behind sustainable clothing line , was lucky enough to grow up there. She took us on a tour of her favorite local haunts — the places to eat, drink, swim, and jump on a kiteboard. 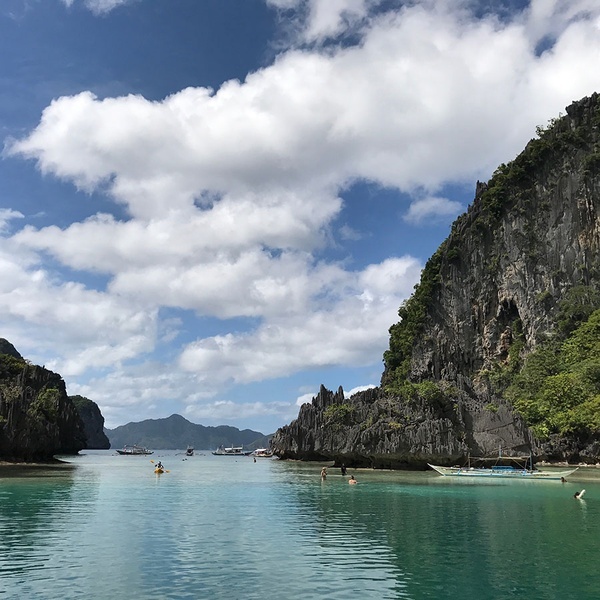 EL NIDO, Philippines – Growing up in Palawan, which has 1,700 islands, I was spoiled for choice, but El Nido is home and the only place I go when I travel back to the Philippines. 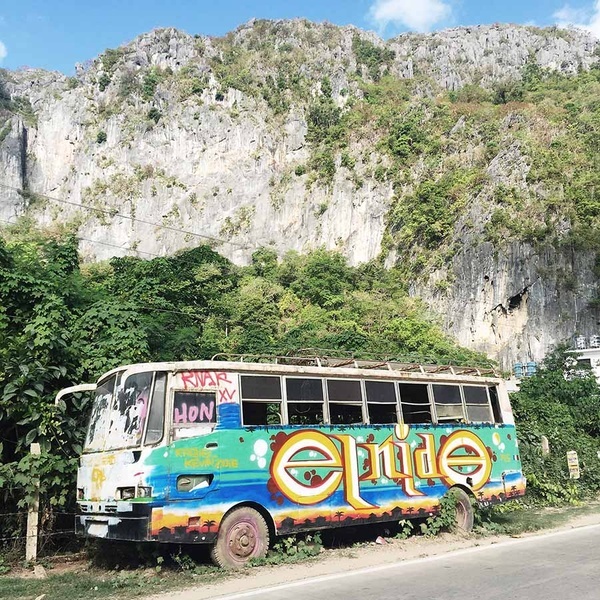 It has everything: lagoons, caves, waterfalls, an abandoned shrine, and beautiful limestone formations. 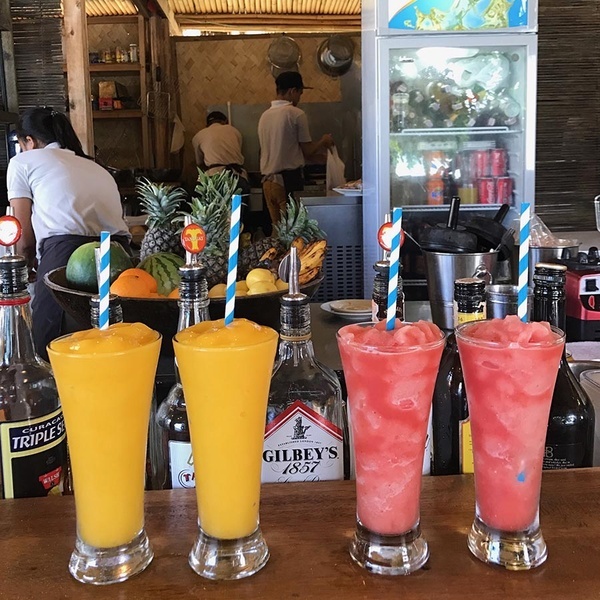 Over the past five years, the island has been discovered by international travelers and has gone from a sleepy town favored by backpackers to one with a thriving nightlife and food scene, with an influx of people visiting from all over the world. It's usually the same story: People visit, fall in love with the beauty and culture of the place, and never want to leave. I don't blame them. For an island that's relatively small, there is a little something for everyone. Here are the places I frequent whenever I go home and the activities and accommodations I recommend to friends when they visit. Make sure you bring enough cash. There are only two ATMs on the island and not everyone accepts cards. And expect an island-time mindset. Everything in El Nido takes a little while. For the full Filipino experience, take a banka ride. The canoe-like boat with double outriggers is the traditional mode of sea transportation in this part of the Philippines and the cheapest way to see the islands. You can book with one of the many tour agencies around town; most come with a simple lunch and drinks. Prices range from $30-$35 ( a $4 environmental fee) per person. There are also party boats for booze-inclined guests. If you want to have a more luxurious experience and avoid crowds, take a speedboat tour. It's more private, they serve great food and snacks, and you'll have your own guide who can take you to more off-the-beaten-track spots. Plus, the speedboats are Instagram-friendly and get everywhere in half the time. If you want to go completely off the grid and fully immerse yourself in the beauty of another island, head to Coron with . Over the course of five days, you'll sail from El Nido to Coron (or vice versa) on a 74-foot wooden paraw (a traditional Filipino sailboat). Ask for Gener, he's the ultimate Palawan guide and my dear childhood friend. Isadora on the cliffs at Matinloc Island. Photos by Isadora Alvarez. One of many limestone formations surrounding El Nido. For the best view of the bay, take a canopy walk up the Taraw Cliffs with . To get away from the crowds, drive 45 minutes to Nacpan Beach for a longer expanse of sand and fewer people. Visitors who like to rough it set up camp sites and sleep in tents on the beach. From November to April, there's good surf and one shop that rents surfboards and gives lessons. It's a 45-minute drive from town, so call for conditions ahead of time. From November to April, kitesurfers hit this remote beach about an hour from town. , a small resort on the water, offers kitesurfing, scuba, and stand-up paddle boarding. It also has a nice spa. Mango and watermelon shakes at Maremegmeg Beach Bar. Candlo Lagoon, one of Isadora's favorite local spots. If your ideal day is comprised of eating, drinking, and chilling, then this is the best place to do it. The bar is right on the beach (Maremegmeg Beach is the best beach in town) and there are cute lounge chairs and beds to relax on. The bar chow and cocktails are delicious, and during peak season there are Friday sunset sessions with a DJ spinning kickass tunes. They also rent out paddleboards and kayaks if you want to burn off those drinks. The best tapas joint in town is run by three Spanish dudes who managed to snag spot with great sunset views. It's a favorite among locals and visitors. Go early because it's tiny and gets crowded fast. A chill spot that serves kosher, Mediterranean, and vegetarian dishes. The falafel is amazing. In the heart of town, you'll find a modern beach bar with a great burger and menu of signature cocktails. They have DJs that spin until early in the morning, which makes this place a go-to for party people. The French-owned restaurant and bar right on the beach is a solid spot for cocktails and pre-sunset tunes. The expat crowd hangs out here before moving onto for pre-dinner drinks. If you are looking for a good pizza and pasta in an intimate setting, go here. But don't be surprised to see Asian food on the menu. A small cafe serving Ukrainian food on an island in the Philippines might sound random, but it's delicious. A Ukrainian couple runs the kitchen and serves customers. 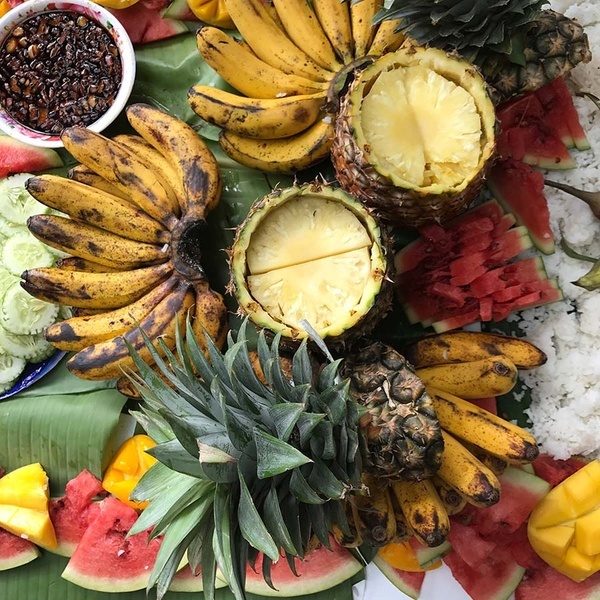 A tropical feast on the beach. Glamping with a view. Photo courtesy of The Birdhouse. For the budget-conscious traveler, this hostel is hip, affordable, and a great place to meet other travelers. They offer private single rooms, private bunks, mixed dorms, and female-only dorms. Check out the sculptural bamboo design in the lobby. It's pretty dope. 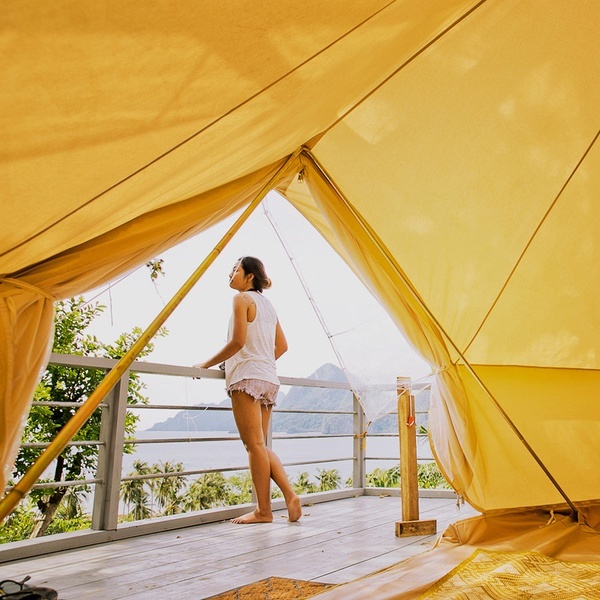 For glamping types, the luxury camp has gorgeous views of the bay and islands that dot the water. Owners Mark and Camille are so sweet. 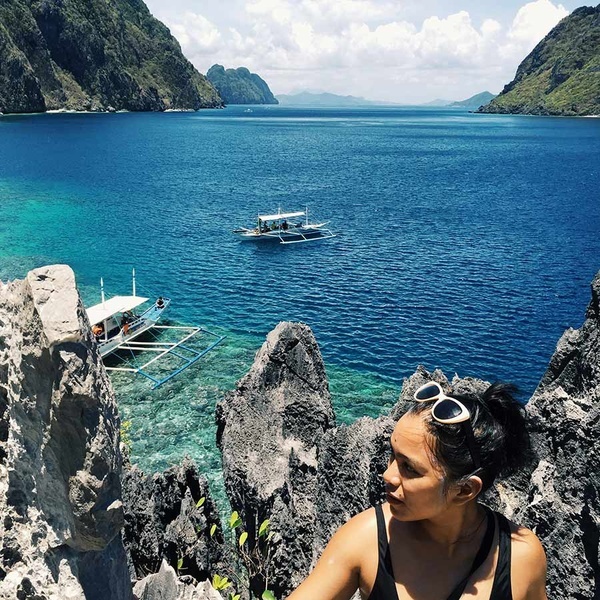 Ask them about their eighteen-month honeymoon around the world, which ended in El Nido. For a splurge, get your own private villa at the new beach resort. Rustic and cute, there's a pool and beachfront bar with a beautiful view of the sunset. Isadora is the founder and creative director of sustainable clothing line BackBeatRags. You can follow her as @backbeatrags on Instagram. She travels for the pleasure of experiencing new cultures and food.